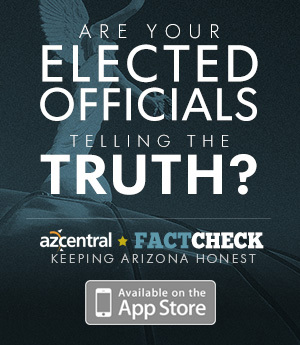 Arizona's 6th Congressional District is a solidly Republican district that includes Paradise Valley, Scottsdale, parts of north and east Phoenix and Cave Creek. Congressional representatives make $174,000 annually and serve two-year terms. I was raised in Arizona’s District 6, attended Scottsdale public schools and I am raising my family here. I know the heart of the district, our people and our small businesses. For the last 25 years, I’ve worked as a tech leader and journalist. I’ve spent my career fighting for change — creating jobs, pushing for women to have a seat at the table and protecting people of color from discrimination in the workplace. I’ve pushed for parental leave and guaranteed paid sick leave in startup organizations. I’ve done the work in the private sector, now it is time to take these ideas and my expertise to DC. I have the business and economy know-how to go up against David Schweikert. I know the numbers and will always put families first. And, I can’t be bought. I won’t accept funds from corporate PACs or special interests. I believe leadership is about listening first. I’m here to represent, to take the stories of our district, no matter what party affiliation, to the floor of the house. Rather than looking at the country we’ll leave behind to future generations, this administration is looking to their next election. President Trump has created tension with the rest the world including our allies. His performance is careless and shortsighted at a time when we should be making long-term investments in our people and economy. We must make investments in our infrastructure so we have the foundation to expand our personal and economic health. We must modernize our health care system so every American can live a healthy life regardless of financial status. We must invest in education. We must protect our seniors by ensuring they can retire with dignity, and we must keep families together because we are a nation of family values. We must win back the Congress in 2018 to restore checks and balances so that the people can hold this administration accountable. Stern negotiation is necessary but ultimatums and party politics don’t work out in the long term. Both sides must come together to find a solution that maintains our country’s values. We must legislate through our shared values. My precondition would be that we treat people with dignity, respect and compassion. I believe that the policies of separating children from their parents and placing asylum seekers in jail cells are morally abhorrent and need to end immediately. We should not turn away children and families who are fleeing violence. Instead, we should take appropriate measures to ensure their safety. I also support a path to citizenship for Dreamers and a plan that puts their families on a path as well. I support ending the green card backlog that has put many immigrant families in decades of limbo and protecting right-to-work visas for spouses. Our leadership has redistributed the country’s wealth to the top through endless tax cuts and trade deals, they’ve spent our treasure abroad through mismanaged conflicts, and they’ve bailed out their corporate donors whenever they crashed the economy, while leaving the vast majority of Americans behind. We must make smart investments to fuel the economy, ultimately reducing the debt. This includes infrastructure, higher education, a liveable wage, family-friendly workplaces and healthcare. Social safety nets such as paid family leave and guaranteed paid sick leave have proven to increase productivity and fuel economic growth. Additionally, we can not afford to make blanket tax cuts and create loopholes that continue to increase the wealth divide. My priorities are to represent the people of my district, to listen to their concerns and to make their lives better. I don’t care about the internal politics in Washington, because at the end of the day, they don’t improve the lives of the people who live in Arizona’s 6th District. I am running for change and am willing to make bold changes where needed. The decision on leadership is one that has to be determined only after we see where the midterms place Democrats. Once we see how many seats we win, then I can make a determination on what type of leadership will effectively and clearly represent the values of our district. I don’t play favorites. I work to build consensus. Our goal should be universal coverage that puts patient care and health care worker safety above insurance and pharmaceutical company profits. I would support and cosign Medicare for All legislation. Until we can get that passed, we must also work to create a solid, healthy and efficient foundation for which to build a better system. We must immediately allow insurance providers to sell across state lines and allow Medicare to negotiate prescription drug prices. We must quickly introduce a public option to bring more competition to markets. We can slash administrative costs by combining administrative aspects of our current single-payer styled systems like Medicare, the VA and CHIP. We can find additional savings and efficiency by introducing blockchain technologies to our digitized health records making them more secure, more reliable and saving money on wasted time, lost productivity and security breaches. I agree with the 99 percent of climate scientists who believe human activity contributes to climate change. Disrupting conditions enhanced by climate change have international ramifications. They threaten our own personal and economic well-being by contributing to global instability via droughts and disasters, increasing the probability of conflicts and inflating prices for everyday commodities due to unfavorable cultivation conditions. We need to take international steps to combat climate change. We must be a leader in environmental protections — such as a tax on carbon emissions and incentives for renewable energies — and in international cooperation that addresses sustainability on a global scale. I believe in due process, and I am committed to preserving and protecting our Constitution regardless of who’s in power. We know, through several different official sources and reports, our election security was at risk in 2016 and is at risk now. As a democracy, our elections are among our most treasured assets. Elections preserve the integrity of our collective voice and our collective power as distributed into one person, one vote. The American people deserve to know with certainty if any illicit actions were taken to undermine our democratic process. We must take measures to protect our elections from foreign interference, while also ensuring elections remain transparent. We must secure our voting booths through encryption and blockchain technology, along with paper ballots; we must protect and expand voting rights so no American is left voiceless; and we must work toward bringing an end to corruption and corporate influence over our politicians and our government. The tariffs currently supported by the Trump administration are not beneficial to middle-class and working-class Americans. Instead, I support initiatives that directly benefit our nation’s families through investments in education, health care and infrastructure so that we can modernize our nation’s economy. President Trump’s tariffs are counterproductive. They increase the economic burden on working families by increasing prices for everyday goods, accounting for a significant share of their income and spending. The American people are working longer hours for lower wages, and the administration’s tariffs fail to address that. The tariffs also fail to address our depressing levels of income inequality, our crumbling infrastructure, and our poverty. If the administration is serious about investing in the middle class, then they should stop giving blanket tax cuts to multinational corporations that continue to ship jobs abroad. They should stop undermining health care and education. We can be consistent with the Second Amendment and still protect our families. The best way to protect the Second Amendment is to make guns use safer for everyone. The obvious and needed common-sense legislation is universal background checks, banning military-grade weapons and accessories that enhance weapons and closing the gun show loophole and the boyfriend loophole. We also need to look at how kids are getting guns in the first place. Even if their parents passed a background check, we need to ensure firearms are stored safely. We need to decrease the ratio of students to counselors in schools so teachers and support staff have the resources to keep a watchful eye on and help students who need it. Students are making their schools safer because they’re talking about gun violence and how they can be the catalyst for change. March for Our Lives has created a student-powered movement toward school security. Policies are best when they come from within. We’ve had a short-term uptick because of tax cuts and deregulation, but these policies are not long-term investments in the economy or the American people since they overwhelmingly favor multinational corporations. President Trump’s tariffs will hurt Americans by raising prices on goods and destabilizing the market, and the temporary wage growth has not kept up with inflation. I will support small businesses through tax credits and infrastructure investments, and I will fight to ensure the tax code does not grant exclusive advantages to multinational corporations. If we give tax breaks to corporations they must make sound fiscal sense and be tied to accountability. Tax breaks should be designed to reward collective responsibility. If a business provides wellness programs for their employees or invests in our community’s infrastructure or labor force, then we can give them a tax break. We must set clear incentives and conditions to encourage economic growth for all Americans. NAFTA has given Arizona mixed results. Within five years of coming into effect, Arizona’s job growth outpaced the Nation. However, the jobs that have replaced our lost manufacturing sector are less secure, pay lower wages, and provide fewer benefits. We must modernize NAFTA to ensure its fairness to the American people and our small businesses, not large multinational corporations. Our trade agreements should not encourage the concentration of economic and political power into the hands of few. This unhealthy accumulation of wealth crashes our democratic fabric and it hinders American entrepreneurship and innovation by stagnating wages and increasing prices. NAFTA must be renegotiated to reflect these values. I strongly stand against corporate influence over our democracy and our party. I believe we must always put people over profits, which is why I do not accept corporate PAC money. This means no money from the pharmaceutical industry, the gun lobby, the oil, gas or coal lobbies, or any other corporate special interest group. I will fight without fear of political repercussions to end Citizens United, for campaign finance reform, for transparency and to ensure our representatives don’t spend the majority of their time making calls to donors when they should be focused on legislation. Only when we address our broken campaign finance system will we be able to address our most pressing issues: health care, innovative job growth, education, the environment, gun violence and the opioid crisis. This cycle, it matters more than ever. The American people have woken up to slimy politicians and inauthentic promises. As primaries in other states have shown, character and reputation make a big impression and are winning races across the country. As a citizen of the 6th District, I want candidates who are authentic, engaged, honest and have the proven ability to lead. I have stayed true to myself and the stories of the voters in our district from day one. I am leading by listening and with full transparency. Although there are politicians who I respect, the people I admire the most are the ones who do the right thing day in and day out without asking for anything in return. I admire our veterans for sacrificing their lives to preserve and protect our nation, our rights, and our Constitution; our emergency responders who continue to risk their lives to save their fellow members of the community during times of crisis; our teachers who work tirelessly to educate the future of this nation while confronting insufficient resources in their schools and threats of gun violence; and our health care workers who are exceptional in their abilities but are stuck within an outdated, inefficient and bureaucratic health care system that restricts their ability to provide affordable and effective care to every American regardless of their economic status. I admire the people of this district, because they’ve given me faith and hope throughout my life, and they deserve to be properly represented. Prior to being elected to Congress, I was a small businessman. While representing the citizens of Arizona's 6th Congressional District, I have used that experience in the business world to advocate for policies that strengthen our economy and encourage job creation. These issues are vitally important to both the 6th Congressional District, which has a high number of small business owners, and our state. As a fiscal conservative, I am well positioned to advocate for issues that are important to my constituents, the majority of whom believe in smaller government and lower taxes. Finally, as the only member of the tax-writing committee in the U.S. House of Representatives from Arizona, I am in the position to push for common sense tax policy that helps our economy. Recently, I played a significant role in writing the tax reform bill which has been extremely beneficial to our state's economy. President Trump's support of the tax-reform bill has been great for the American economy. Our economy is thriving and our unemployment rate is lower than it's been in decades. Here in Arizona, the unemployment rate in Maricopa county is approaching 3%. This is great news for our state! As someone who is committed to economic growth and prosperity, I will commend any President who is willing to support policies that strengthen our economy and encourage job creation. I don't believe in placing preconditions on my support for policies that benefit our country. From my very first day in Congress, I have been an outspoken advocate for policies that reduce the national debt and stop the fiscally irresponsible spending habits that many in Washington cannot see to break. I have sponsored a balanced budget amendment on numerous occasions. I have also pushed for the passage of budgets that slow the growth of federal spending and place the federal government on a glide path to a balanced budget. In addition, I have also supported legislation that would reduce the national debt by reforming our borrowing policies. The inability to bring spending and borrowing under control represents a significant threat to our future. Finding a real and lasting solution to this threat will always be a top priority of mine. I have not made a decision on whom I will support for Speaker. I can say, however, that I will enthusiastically support a candidate for Speaker who shares my commitment to fiscally responsible policies that reduce the deficit, stop the out of control borrowing and encourage economic growth. I stand strongly with the majority of my constituents who strongly oppose nationalized healthcare. I am committed to reforms that reduce the cost of health insurance and ensure that my constituents have access to affordable health insurance. Of course climate change is a real and significant issue. I support policies that both protect our environment and our economy. The Mueller investigation is tasked with investigating foreign interference in the 2016 election, and I trust that that is what the investigation is doing. Throughout my career, I have always supported free trade and I continue to do so. Generally speaking, I do not support any policy that interferes with the free trade of goods and services with other countries. At the same time, it is important for the United States to actively address situations where other countries are hindering access to their markets for American companies, or adopting policies that place American companies at a disadvantage. It is vitally important that we take reasonable steps to increase school security. Tax reform has played a major factor in the growth of the American economy over the last year. When people and companies are able to keep more of what they earn, positive things happen to our economy. Companies have more money to invest and increase hiring. Families have more disposable income that in term helps businesses of all sizes grow. I believe that we must continue to aggressively pursue policies that encourage economic growth and job creation. Free trade has been very good for Arizona. Throughout my time in Congress, I have routinely broken with my party and opposed budget and spending bills that are fiscally irresponsible. I believe the most important personal quality of those seeking public office or serving in public office is integrity. Whether it is the integrity to do what's right regardless of the political consequences, or the integrity to stand up for your constituents, history has shown us that the the most successful leaders almost always have a high level of integrity. My biggest political role models have always been those who are have the courage and commitment to fight for what's best for our country regardless of the consequences.